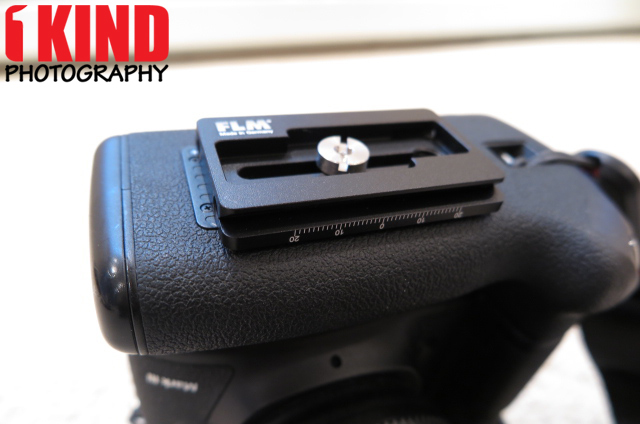 Overview : The QRP-70 from FLM is a dovetail quick-release plate made for cameras with a 1/4"-20 tripod thread. 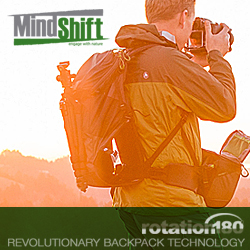 It allows you to quickly attach and detach your camera from a tripod, monopod or other support. 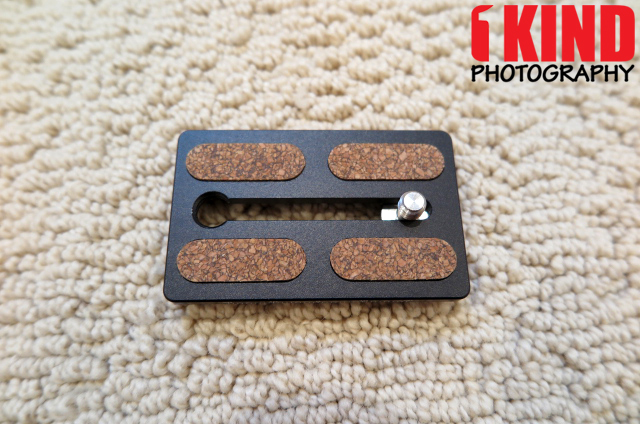 The cork-coated surface protects the bottom of your camera body and prevents camera-twist. Quality/Usability : As I review and browse more and more for camera accessories, more manufacturers are going the way of the arca-swiss type mount. But plates are plates. They all look a like, mounts to the bottom of your camera/lens and mounts to the quick release plate. The QRP-70 was included with my review sample so it's natural that I review it as well. 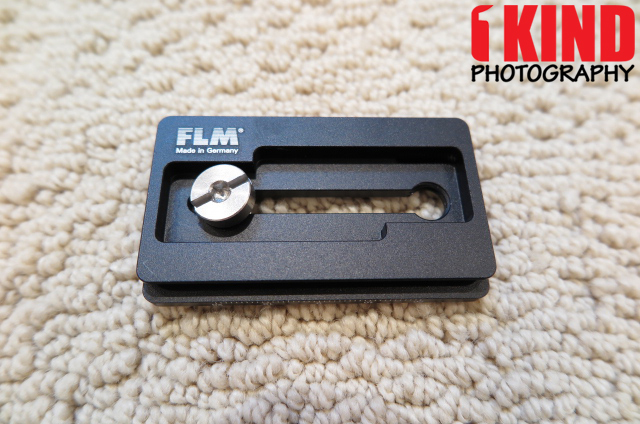 QRP-70 FLM Quick Release Plate is designed for use with large lenses (with two screws on the tripod collar) and has a lasered scale. 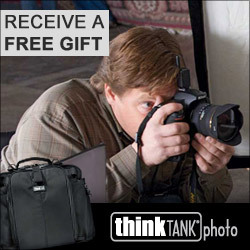 For this review, I mounted it to the bottom of a Canon 5D Mark III grip. 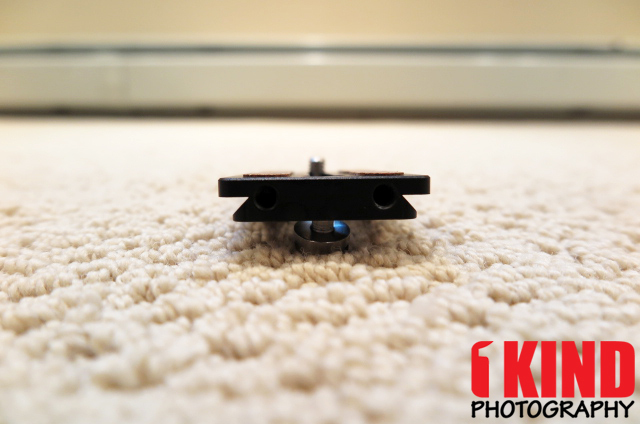 When this plate is attached to the FLM Quick Release Base, it can be displaced by up to 40mm on the base if you choose. 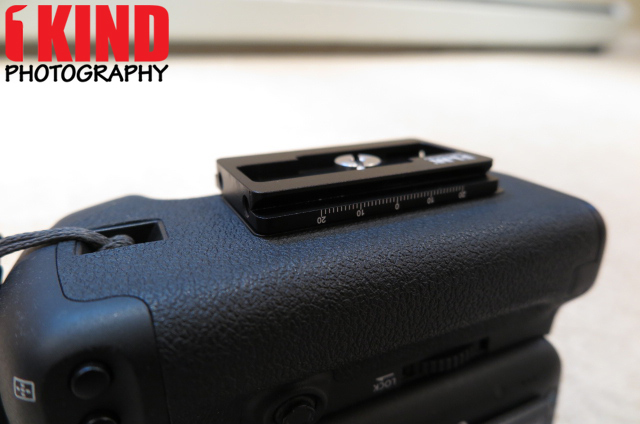 It is supplied with two 1/4“ screws to attach to the sockets on the lens tripod collar. 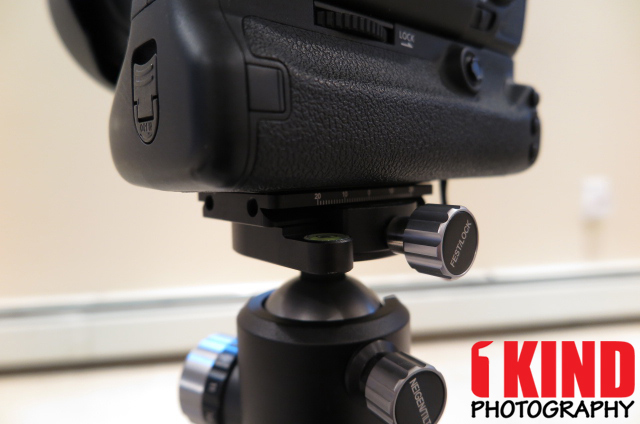 The special shape of the plate allows for very strong and safe fixation to the QRB-70 base, which has a 3/8” bottom thread to attach to a tripod. 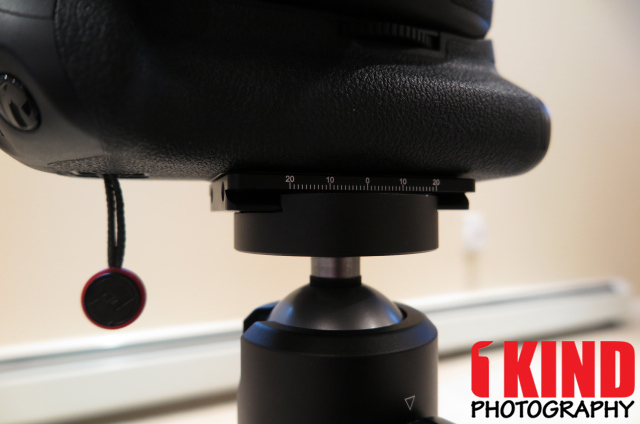 The QRP-70 plate was attached to the FLM SRB-60 Quick Release Clamp and FLM CB-48FTR Professional Ball Head. 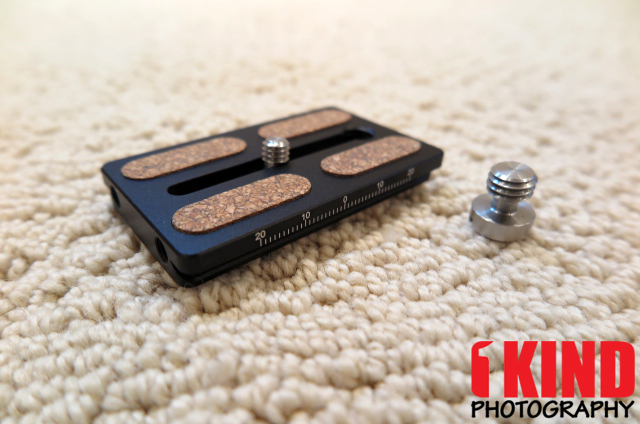 Conclusion : Overall, the FLM QRP-70 Quick Release Plate is a sturdy quick release plate. Nothing really makes the plate stand out from the rest of the quick release plates that is on the market. It does have ruler markings on the plate to help make sure that the placement is the same as it was before.